This magnificent novel-which secured for its author the 1955 Nobel Prize in Literature-is now available to contemporary American audiences. 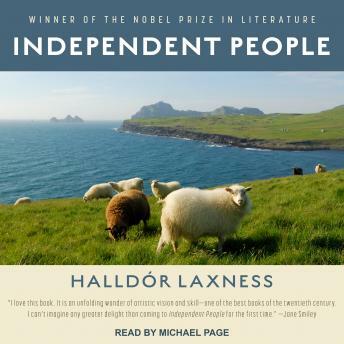 Although it is set in the early twentieth century, it recalls both Iceland's medieval epics and such classics as Sigrid Undset's Kristin Lavransdatter. And if Bjartur of Summerhouses, the book's protagonist, is an ordinary sheep farmer, his flinty determination to achieve independence is genuinely heroic and, at the same time, terrifying and bleakly comic. Having spent eighteen years in humiliating servitude, Bjartur wants nothing more than to raise his flocks unbeholden to any man. But Bjartur's spirited daughter wants to live unbeholden to him. What ensues is a battle of wills that is by turns harsh and touching, elemental in its emotional intensity and intimate in its homely detail. Vast in scope and deeply rewarding, Independent People is a masterpiece.